It’s that time of year again, and although I’ve been a bit quiet about baseball during Spring Training, there’s less than a week left until the first game of the season so there’ll be more baseball blogs coming. The regular season actually kicked off earlier this week with the series in Japan between the A’s and the Mariners. This actually gave me the opposite problem to usual as the games were on too early for me to watch, starting at 11am British time, about 13 hours earlier than usual! This was my biggest hope for the off-season, but unfortunately it didn’t happen. We traded Buehrle to the Marlins quite early on, and while I was disappointed to start with, I actually think that it’s a good move now. 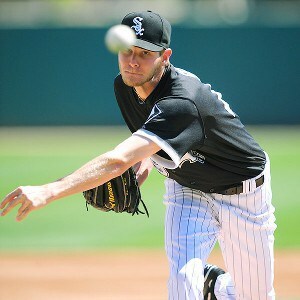 We have a strong rotation with Chris Sale’s transition to a starter, along with Danks, Floyd, Peavy and Humber. 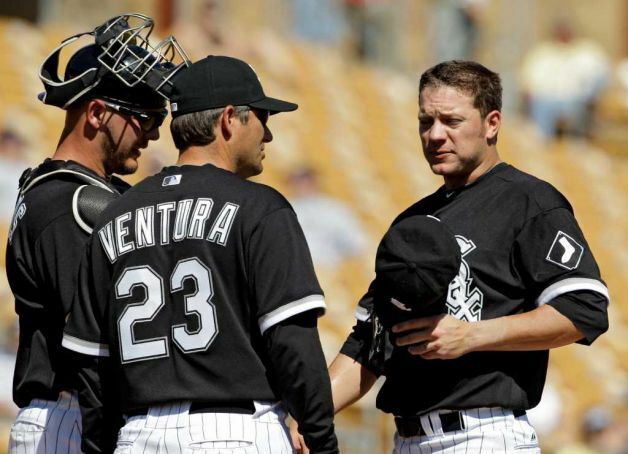 Of course Buehrle is a great pitcher, but I don’t think we are that much weaker without him. And at least he’s switched leagues so we don’t have to face him too often! 0 for 2 now as this didn’t happen either. He’s now playing for the Blue Jays, and at 45, I wish him all the best. He’s a great player, and he deserves to end his career on a high note. But even at 45, he’s not the oldest player in the MLB, as today we’ve just got the news that Jamie Moyer has made a place in the starting rotation for the Rockies. At 49, he’s coming to the end of a long career (in fact, he’s been playing baseball longer than the Rockies have even been a team)! He’s coming back from Tommy John surgery which is not easy at any age, but at 49 I look forward to seeing how his season goes. Finally, one that I got right. Pierre is now playing for the Phillies, and we have ample replacements for him in the outfield department. We’ve had a good look at DeAza and Viciedo in spring training, and we also signed Kosuke Fukudome this off season too. Apart from his speed (which will be hard to replace), I think we’ll be better off without him this season. Robin really seems to have settled in well during Spring Training, and although our record has not been brilliant, he seems to be making good decisions and the players all seem to love him. It’s very nice not to have all the controversy like there used to be with Ozzie, and it’s definitely nice to be able to read the comments on the MLB site without scrolling through pages of ‘Fire Ozzie’ comments. This seems to be going well, although we’ll only really know when the season gets underway. We really need him to be able to pitch late into games to save the bullpen, and he needs to last to the end of the year, especially as Chris Sale is likely to be on an innings limit in his first year as a starter. I have to say, my predictions were really not that good, but I’m feeling very confident about the team this year. We’ve set our 25 man roster today, including a couple of surprises in Jones and Escobar, the only real mystery now is how the bullpen is going to shape up. Reed and Santiago have been pitching very well, but I think Thornton should get the closing nod, at least to start with. He didn’t do very well at it last year, but I think he’s more ready for it now. And if not, we’ve always got a couple of other candidates ready to take his place! There’ll be more baseball related posts coming up this week with the season so close, but if you made any predictions for the offseason, let me know if you were more successful than me!